By renting out the property, one can generate a considerable amount of income, which can help in a number of ways, besides taking care of house maintenance expenditure. Most landlords generally shy away from renting their properties, because of the general perception of bad tenant behavior. Besides the litany of bitter experiences of landlords, rent control laws favoring tenants also add to the woes of house owners. With various state rent control laws yet to be amended in order to be more equitable for property owners, an extra dose of caution is called for, before handing over the rooms. After finding a tenant, you should check out his background and his financial capabilities. Gather information about his employer/business and whether he is earning enough to pay the rental charges regularly. In case of companies, check their track record and reputation, what business they do, whether the society byelaws allow renting out for commercial purpose. 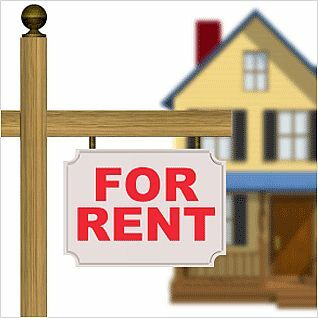 It is advisable to rent out properties for a short duration. While big corporate may prefer a three-five year lease, landlords usually prefer the relative safety of a leave-and-license agreement, which ensures periodic renewal of the terms. The eleven-month agreement is usually popular, as these pre-empt the rent control laws, which apply after 12 months. While drawing up the contract, you should take help of a legal expert and prepare a comprehensive agreement without any loophole. In the agreement, include the following: clauses specifying what are the charges, if not vacated when the contract ends; specify that subletting is prohibited under any circumstance; mention the period of notice to be given, in case of termination of agreement. Even after all these preliminary steps, you should occasionally visit the house, to make sure the tenant uses the house properly, for the specified purpose. At the time of vacating the premises by the tenant, ensure that the house is in proper condition and tenant has cleared all outstanding dues such as water, electricity and society fees. Return the security deposit only when you are certain that all the dues have been cleared. If you are renting the place to a foreigner, the you need to register with the police commissioner. In some areas, even for renting out to Indian citizens, one needs police permission. Stay away from brokers who displays affiliation towards a particular political party. Make sure that the place you are going to rent can give you good water, electricity and security. Make sure that your property is not near bad areas and with mosquitoes problems. If you are looking for paying guest accommodation see whether you can stay with elderly couples whose children are abroad; this is a socially responsible thing to do to fill a vacuum for the elderly. If you are a lady looking for accommodation make sure that the area you are going to rent is well populated, near busy intersection, near a bus station. Make sure that you always have a cell phone with you. Tolet Independent Houses, Bungalows - Look for privacy; we have seen lot of houses surrounded by tall flats with no privacy at all. Office Space, Industrial property - Make sure that you take legal advise before renting. rooms within a house, room mate wanted or available - check who you would be living with before you move. Company / Corporate accommodation - look for well known real estate companies. For paying guest accommodations look for areas where you get good water. if you see "Available Office Space", office rentals, office space rental, office suites, rent office space, office rental, office to rent, office rent, offices for rent, offices for lease then get the contact and talk to the previous tenant. What should you look for in a property before renting? Ensure that the plumbing systems, drainage and sanitary fittings are in good working condition. Check for the quality of the electrical systems, circuit breakers, wires and functioning of light and other fittings. Check for problems with roofing, walls, ceilings, floors & paintwork. Check for the structural stability of the building, basement and other visible structures. Check for the quality of the doors and windows, latches & locks. Ensure that the property has a good water and electricity supply. Checklist for renting residential or commercial property. Current rental trends and prevalent rental rates in the vicinity. Ensure that the property you have identified is the right one for your requirements. Consult an advocate to formulate commercial terms for the agreement. Finalize commercial terms. Ascertain the rent and other charges like water and electricity charges, society charges & maintenance charges.